Brookmans Park only bank closed in 2000. The Lloyds bank opened in the 1950s, but was closed as the renamed Lloyds TSB in 2000, despite a campaign by locals to keep it open. The bank blamed a "drop in footfall" for the closure, although more than 300 local people signed a petition to try to keep the bank open. 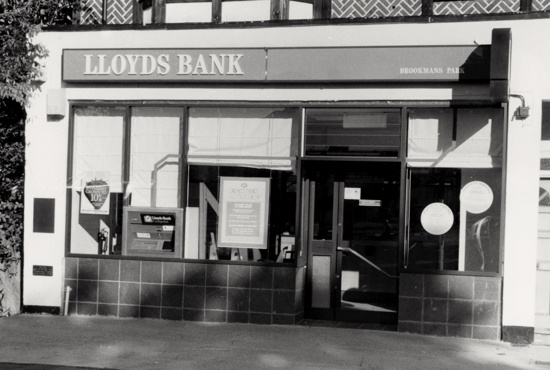 Despite their efforts, on Friday 14 April, 2000, the Lloyds TSB closed its doors to the public for the last time. The village used to have a branch of the Abbey National building society, which closed in the 1970s. 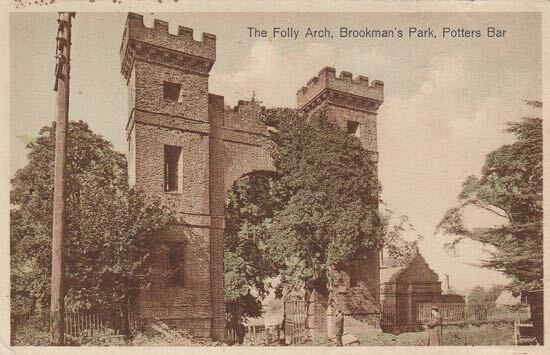 The following six embedded PDFs are stories from the former Brookmans Park Newsletter charting the closure.